Disclaimer: the author of this post does not in any way support the views of process theology or believe that its views can legitimately be considered thinking Christianly. The purpose of this post is to summarize these views in order to critique them in a later posting. Any traditionally conceived understanding of God has as a consequence, by and large, a platonic understanding of mathematics. That is to say that mathematical structures and relationships exist independently of man’s construction of them and are there existing in some way or some form to be discovered. If nothing else, this position is held because of the assumption that God knows and understands mathematical relations, thereby giving them some kind of existence independent of man’s creation. It has been proposed by process thinkers that this understanding of standard mathematics conditioned the doctrine of God’s immutability (the idea that God does not change in His nature). However, the development of nonstandard mathematics (namely Gödel’s Incompleteness Theorem) relaxed any restriction that required God to be strictly immutable (at least from the perspective of mathematics). So the process view of god as evolving is due in large part to mathematical developments. Process theology, as developed by Whitehead and others, is therefore at least partly to be understood as an attempt at taking into account the new insights that resulted from Gödel’s publication. The most notable of Whitehead’s mathematical achievements was his work with Bertrand Russell on the Principia Mathematica. In this work Whitehead and Russell sought a unifying theory of mathematics based on logic and arithmetic – that is, they sought to secure all mathematical truths from a few assumptions of logic. Kurt Gödel’s Incompleteness Theorem was a damaging blow to Whitehead and Russell’s undertaking because it brought to light the limitations of both logic and arithmetic. Gödel’s theorem states that there is no set of consistent axioms, finite or infinite, from which all the true theorems of arithmetic can be derived. For example, suppose we have axioms and find a theorem which does not follow from them. If we add the theorem to the axioms, then it will be derivable from them. 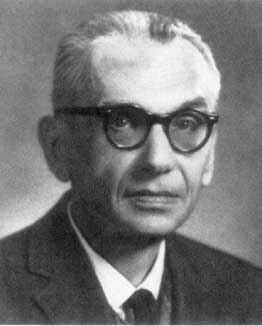 Gödel showed that there still remain theorems true about arithmetic that cannot be derived from the augmented axioms. Furthermore, no matter how much you augment the axiom system, there still remain theorems that are true but cannot be derived from the axioms. This reveals that no rational system, or well-defined procedure, can ever present all truth, for then it would have to generate all the truths of arithmetic. Gödel’s theorem basically points out that the structures of knowing cannot all be formalized mathematically. When translated to religion, this implies that there is no rational theology or philosophy by which we can understand the full truth about God or any other matter. In order to overcome the problem of the lack of a single all-encompassing formal system and to preserve the close relationship of mathematics and Logos (Christ as the Word) as well as the idea that God establishes and guarantees the unity of Logos, process theologians look for solutions in terms of plurality and increased potentiality. In other words Process theologians modified the Christian view God in order to make Him fit better (in their opinion) with current mathematical breakthroughs. Because there is no system of truth that can be completely known (even by God supposedly), rather than see this as evidence that there is no God, process theologians began to view God himself as evolving: God currently knows all the truths that are know, and as new truths are discovered (or brought into being) God grows in His knowledge. It may be appropriate to understand the realm (however understood) of mathematical relationships and hence of potential relationships as evolving – a rather radical departure from modal western philosophy or at least from its Christian adaptation. The new developments in mathematics seem to me to allow a better understanding of what it might mean for God to have the freedom to change the totality of potentials – both in terms of the structure of knowing and among human consciousness and in terms of objects known. This would mean that not only could man’s consciousness, as well as other structures of the world, evolve in ways hitherto unknown, and in ways impossible to know, but in ways that might be even a surprise to God – a surprise in the sense that the potential mathematical structure that could characterize (in part) such consciousness might not even be at present. To the proponents of process theology it is the most important development in Christian thought since the first century. It is significant, they think, because the movement gives sophisticated moderns an intellectually and emotionally satisfying reinterpretation of Christianity that is compatible with late-twentieth century ways of thinking. Process theology allows you to be a “Christian” while maintaining your acceptance of mathematical and scientific theories that appear to contradict religious belief. Process theology was (and still is) seen as a systematic philosophical perspective that can solve problems in science and theology and relate them in an integrated manner. Author’s Note: Though I will critique process thinking in greater detail later, I have to point out here that it is inappropriate to view science/reason and religion/faith as two opposing entities that need reconciliation. To take this position often leads to modifications in the definition of God simply for the sake of easing apparent tensions, as is the case with process theology. The source of science is the real world that exists objectively on its own independently of our observation. We are part of this world and experience it. Science is understood in terms of its abstract, normally mathematical, structure which we create. Because this abstract structure is necessarily a partial description of the real world by virtue of the limitative theorems, theoretical science changes because of our refined experience in the world. We discover new things about the world that challenge old theory and precipitate new theory. The source of religion is God, who exists objectively and independently of our observation. The religions of Judaism and Christianity claim that God reveals God’s self to humans and that humans experience God. A deposit of this revelation and human experience is contained in the Bible, which does not have mathematical or theoretical structure. It has historical, narrative, and mythological nature. Like scientific theory, classical theology which is an attempt to describe God by abstract logical structure, is also created by human invention. Although it seeks loyalty to the biblical revelation, it is necessarily only a partial description of any divine reality because of the limitative theorems. Theology changes as religious experience becomes richer or different. Recognizing how process theology views both the study of God and science as similarly evolving fields is key to understanding the development of the tenets of Scripture and revelation in process thought. The revelation contained in the Bible is seen as being necessarily incomplete. If the Bible is a systematic structure and it is inerrant, then it cannot be general. In other words, if the Bible is viewed as the set of axioms, then there are true theorems that cannot be arrived at by way of those axioms. This means there are truths to which the Bible offers no insight. Rather than admitting this point, process theologians prefer to claim that the Bible is not a system but rather a window to the primary events of God’s causal and historical encounter with humankind.For a further elaboration on the process view of scripture, see the previous entry in this series. Once the doctrine of Scripture has been modified, it is not hard to see how the modified doctrines of God, Christ, Sin, and Salvation follow. Granville C. Henry, Jr., “Nonstandard Mathematics and a Doctrine of God,” Process Studies 3, no. 1 (Spring 1973): 9, 14. Teun Koetsier and Luc Bergmans, “Introduction,” In Mathematics and the Divine: A Historical Study, ed. Teun Koetsier and Luc Bergmans (Boston, MA: Elsevier, 2005), 36. Granville C. Henry, Jr., Christianity and the Images of Science, (Macon, GA: Smyth and Helwys Publishing, Inc., 1998), 164. 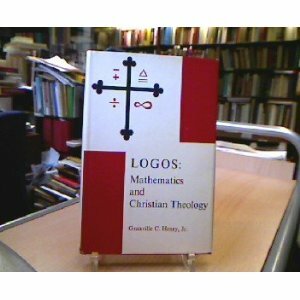 Granville C. Henry, Jr., LOGOS: Mathematics and Christian Theology, (Cranbury, NJ: Associated University Presses, Inc., 1976), 112.